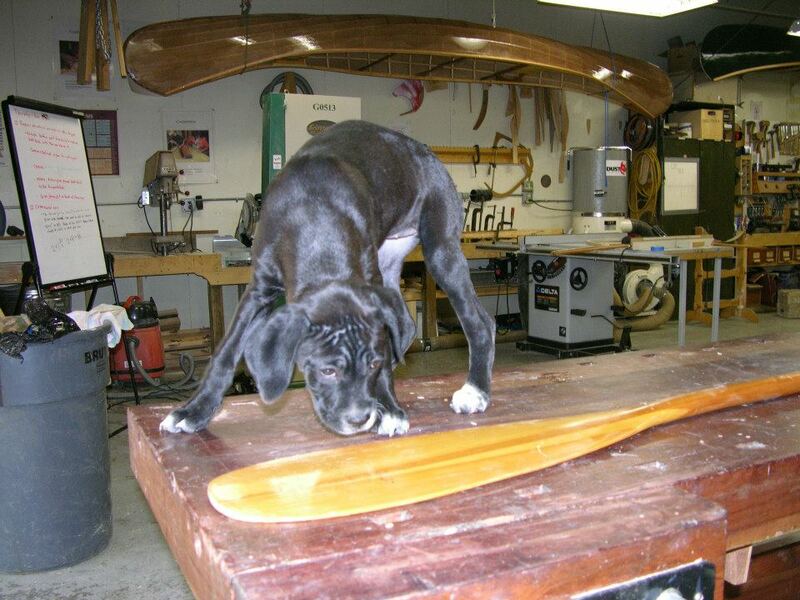 Have you dreamed about crafting your very own canoe paddle? We can make that dream a reality! Day 2 – Seven and a half hours on a Saturday (9:00 am – 4:30 pm). A 30 minute lunch break will be held midday. 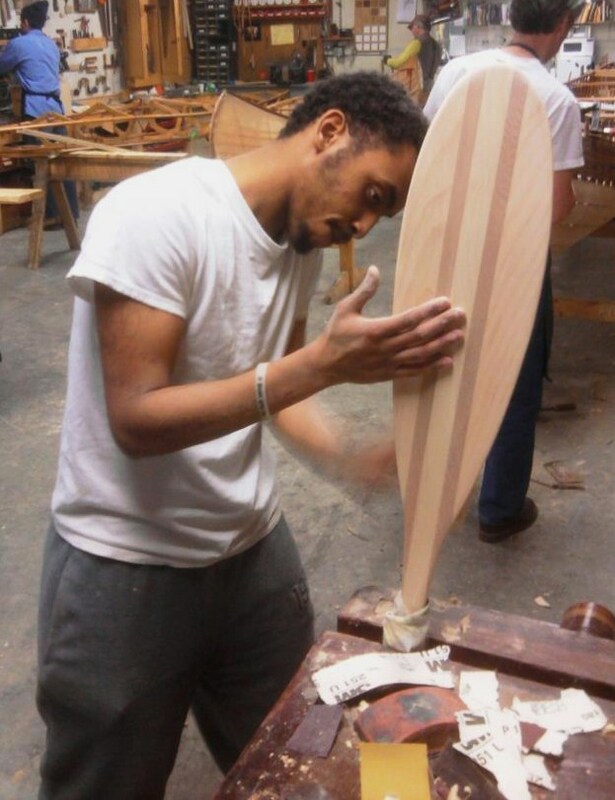 On the first night, an Urban Boatbuilders instructor will introduce you to the process of making a paddle. 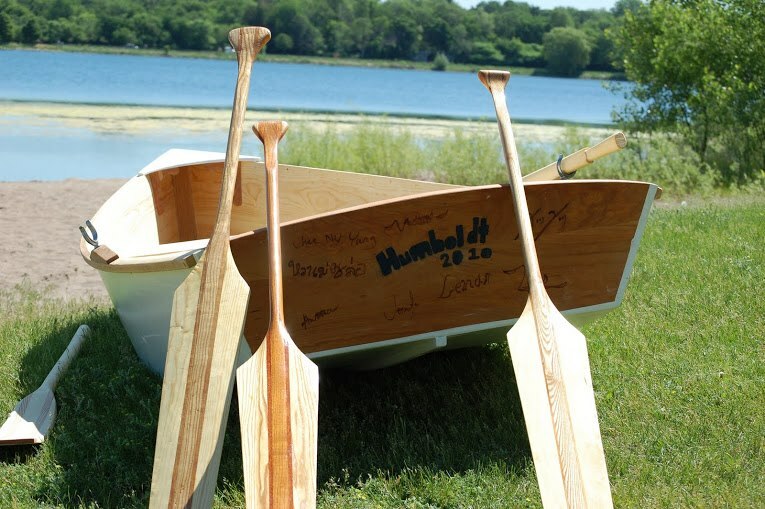 You will choose your own design from traditional paddles— Beavertail, Ottertail, Algonquin or Voyageur, and you’ll choose which types of wood to use. By the end of the evening you will have custom fit your paddle length and glued together a paddle blank. 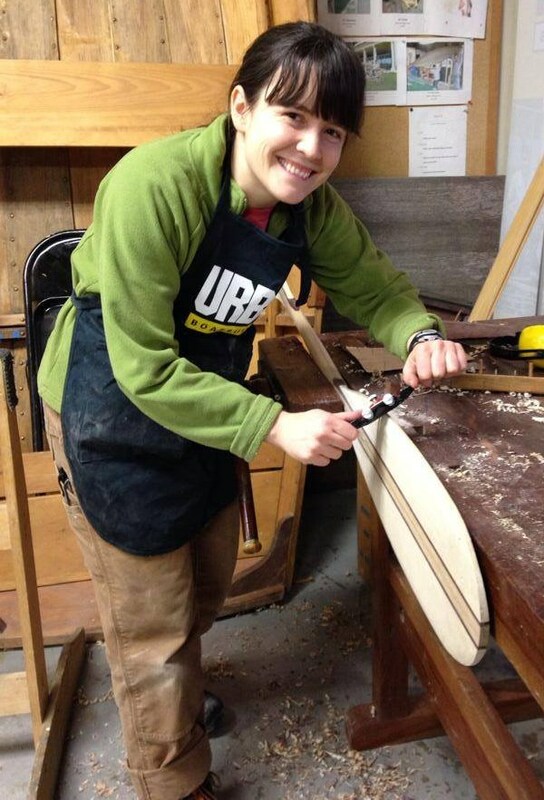 On Saturday, with the help of an instructor, you will shape the paddle, first using a bandsaw and then with traditional tools—handplanes and a spokeshave—the same way artisans have been making paddles for centuries. 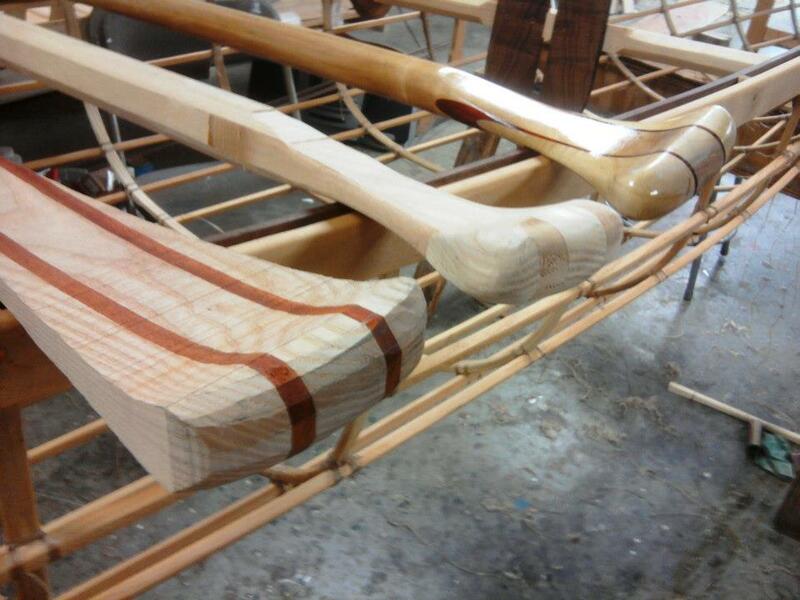 At the close of the workshop the instructor will discuss how to finish your paddle using linseed oils or spar varnishes (due to time constraints, participants will finish their paddles at home). Please note that this course does require the safe use of power tools, sharp hand tools and standing for an extended time. Participants are encouraged to wear comfortable clothing and closed-toed shoes. It is helpful to bring snacks and a water bottle. 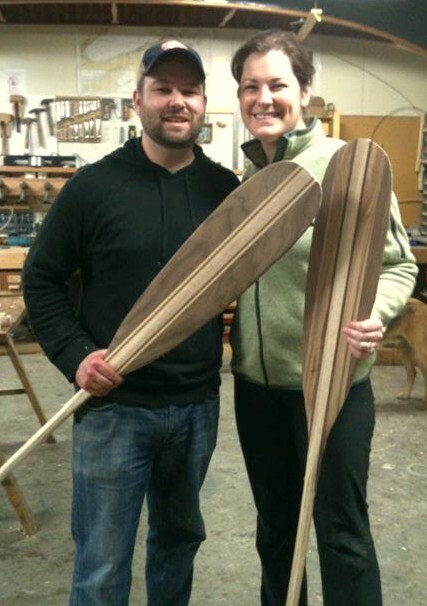 Want to make paddles with a group of friends? Gather 5 - 8 friends who all want to make a paddle, and schedule a private class at a time that is convenient for you.